Look out! Here comes Petey Penguin! 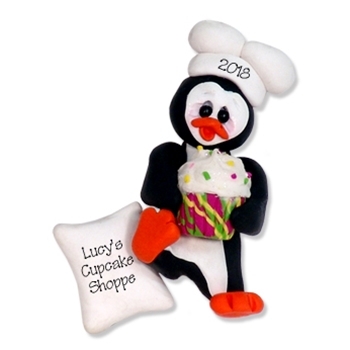 This ornament is the perfect personalized ornament for any chef or baker.